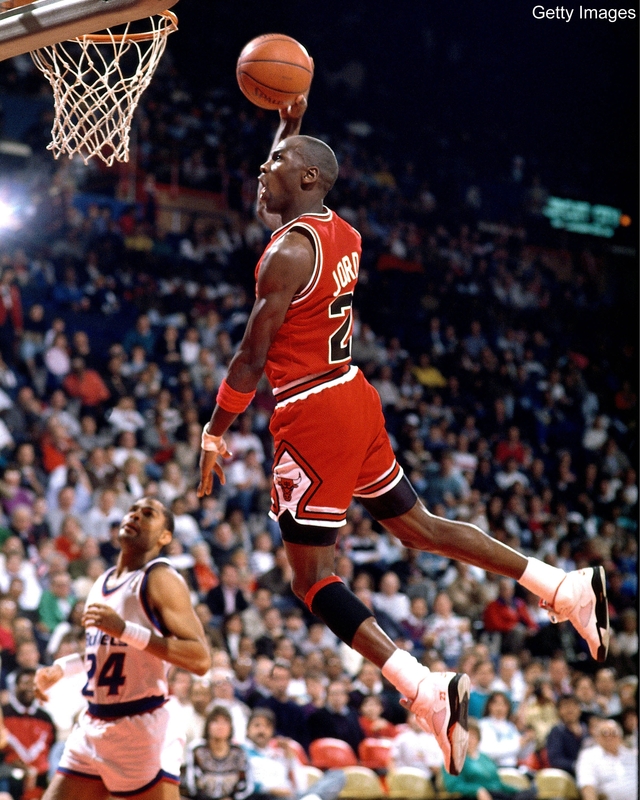 Twenty years ago today Michael Jordan hit a scoring milestone in his career. It was January the 8th, 1993. The Chicago Bulls were taking on the Milwaukee Bucks at home. The Bulls won by a score of 120-95. The Bulls continued on a season that would bring them another NBA title. During the game Jordan scored his 20,000th career point. The moment came when Jordan drained a 3 point shot with 5:12 left to go in the game. He was taken out just seconds later and ended the game with exactly 20,000 points. He did so in just his 9th NBA season and in his 620th NBA game. The only other player to reach that scoring mark in a shorter amount time was Wilt Chamberlain. Chamberlain reached the mark of 20,000 career points in his 499th game. Kareem Abdul-Jabbar is the all time scoring leader with 38,387. Karl Malone holds the 2nd spot with 36,928 points. Jordan is in 3rd place with 32,292 career points. 1983 NFL Draft - "The Best NFL Draft Ever"